This week we'd like to draw your focus in on the most important and genuine artist touring and making music at the moment. Amir Mohamed El Khalifa, better known as Oddisee, isn’t always a name that's brought up in mainstream Hip Hop discussion, however this is exactly the way he likes it. For many years, Oddisee has inspired us here at illeqwip due to his humility and artistic integrity. He sits on the cusp of the mainstream as a reminder to true Hip Hop fans that there really still is hope. At present, we live in a day and age where music is constantly evolving, accessibility to technology is at an all time high resulting in a mass saturation of artists with little knowledge and musical skill. Sadly, the days of 'Knowledge' being placed as a priority are long gone as a direct result of the changing climate of music. Much of this is due to the evolution of the internet, which in itself has reshaped the world as we know it. The way we think and live our lives is reliant on instant efficiency, people need and fein for information and content that is delivered instantaneously without having to engage in deeper thought. The growth of the current 'Dumbed Down' party driven trap/mumbled rap landscape is a perfect example of this. 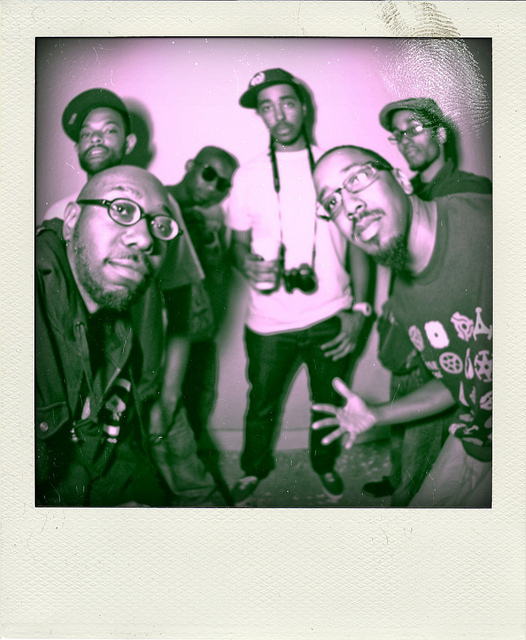 Oddisee and his Low Budget Team. Standing firm amongst the new wave of 21st Century Music is Sundanese born, D.C. Native, Oddisee. The man is a self sufficient musical genius whose career has continually evolved since his first mixtape in 2005. Growing up in D.C, Oddisee was a vital member of the ‘Low Budget’ crew in his early years, producing and rapping with artists such as Quartermaine, Ken Starr, Sean Born and Kev Brown. Since then Oddisee has done nothing but WORK, releasing 12 full length albums (Individually and with his group Diamond District), 10 Beat/Mixtapes and 4 EPs. This gentleman is a one man machine, producing, rapping and making a living off his humble experience driven compositions. O, is on a higher plain of intelligence, he make records that have layers (sonically and lyrically) for his audiences to unpack each time they tune in. He challenges a listener to think, contemplate and unpack his messages in each song. Oddisee's aim is to inspire self reflection through his own stories and tales. His production is complex yet delicately intricate- he draws on smooth soulful sounds and reworks loops into uniquely creative and percussive drum patterns. This being said, his sound has steadily evolved over the years, constantly updating his formula and adding more live instrumentation for effect. He speaks nothing but truth and his music reflects his humble and honest demeanour. Oddisee is the type of artist that children these days should be idolising as a role model. He’s a balanced, honest, hard working family man who writes about relevant social and political issues that need to be discussed. He treats his music with respect and ensures he takes every opportunity to elevate and bring his music to like minded people. His most recent album, 'The Iceberg', is in fact the perfect metaphor for this entire idea in which I stated prior. What appears on the surface, may not always be the whole story or truest reflection of an artist. Never will you catch Oddisee in the club or even drinking for that matter. He is a complete professional touring the entire world twice in the last 2 years with his fellow collaborators and band ‘Good Company’. It’s clear that his professionalism is the secret to longevity and touring success. Much like his 2015 album, Oddisee really does fight the 'Good Fight'. He's one of the good guys in the music industry and has pursued all the right avenues to get himself to the platform he now stands. His working relationship with labels, Mello Music Group and Jakarta Records, have seen his status escalate worldwide across all continents of the globe. Oddisee is undoubtedly entitled to be categorised amongst the world's top echelon of producers and artists. He is widely respected across the culture due to his expansive and diverse catalogues as a wordsmith and beat maestro. It's no question that he should be thrown into discussions with names such as Kendrick, Cole and Chance because he has never once released anything below the bar. Consistency and integrity are his fortay, which is something that all artists can aspire to. Over the years, many rumours have circulated about projects featuring Oddisee's production and J.Cole. Unfortunately, these still remain dormant, cooped up in a Macbook somewhere in North America. This again furthers why Oddisee deserves far more credit than he ever receives. With all this being said let’s not forget that the man is an actual beast on the mic- ALL MC's BEWARE- Oddisee has bars on bars and takes rappers to school with his poignant mixture of intellectual knowledge and fierce wordplay. You could start anywhere in his vast collection of music and find some of the hardest yet witty punchlines. Oddisee has that 'rewind' effect on listeners as he rapidly fires so much content in his verses that it can be difficult to catch it all in one, two, or even 20 listens. Each time I zone out and listen to his music I inevitably find something else to let marinate in my brain. The man truly is a king of the culture and we strongly urge you check his catalogue out if you haven’t already. Below are some of our recommendations of where to start if you're new to this man. 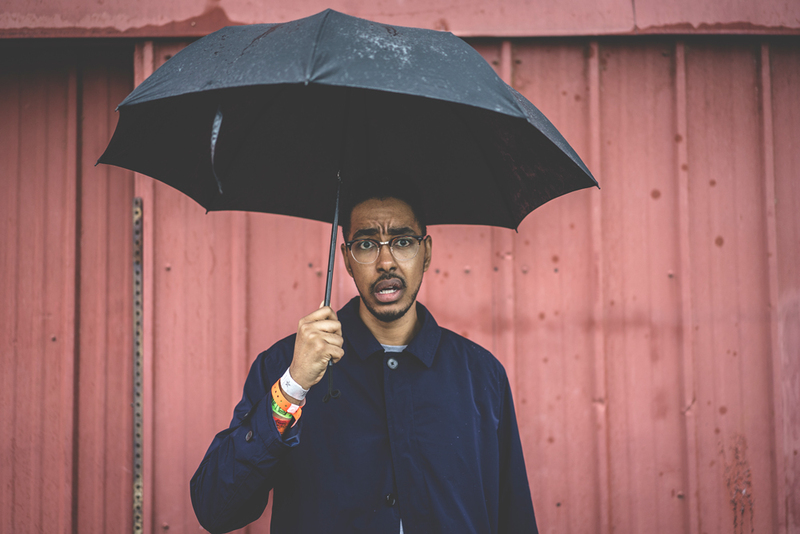 If you love what Hip-Hop stands, you'll love Oddisee. Gain access to our member only discounts, pre-release sales & the latest news on events & projects. Homies look out for homies!